The humble side dish is not so humble anymore. Especially around Thanksgiving time. We all know turkey is okay. Just okay. It needs to be buried under gravy, mashed potatoes, stuffing and casserole in a sandwich for it to reach true transcendent heights. So for your Friendsgiving party, you need to step up your side dish game. Friendsgiving side dishes mean you can go crazy. And be super economical in the process. You want to use all the leftovers from Thursday’s turkey fest? Sure. You want to start from scratch and make up wild plates? Go ahead. Here are a few dishes to get your culinary ideas going. Cover the potatoes in a pot with cold water, by at least an inch. Bring them up to a boil and let it go until they are fork tender. Drain and put them them back in the pot. Make sure the butter is room temp before you drop it in. Mash with a potato masher until nice and lumpy. If you prefer the whipped variety, break out our hand or stand mixer and whip to your heart’s content. This is the perfect Friendsgiving side dish because it puts a cool spin on a regular Thanksgiving favorite. 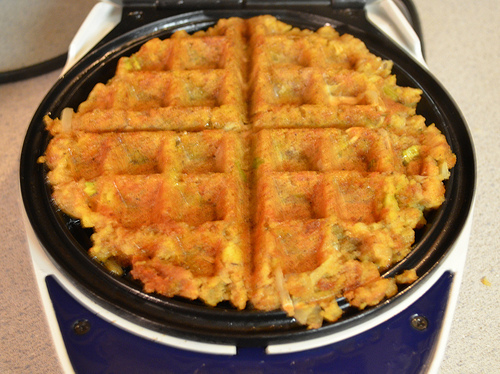 Just take some leftover stuffing, mixing some binding agents and slap it on a hot waffle iron. 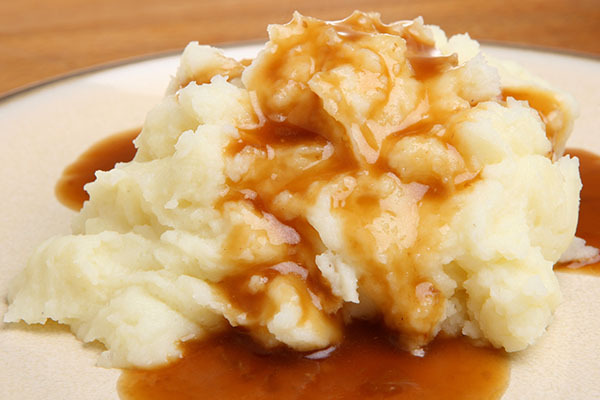 And make sure you have plenty of leftover gravy to use as “syrup.” You and your guests will be blown away. This is along the same lines as the stuffing waffles. This is remarkably similar to classic latke preparation. So those who have take cooking instruction at the knee of their bubbe should be very familiar with this technique. Take your leftover mashed potatoes, mix in eggs and a but of flour to hold it all together and stir it up good. 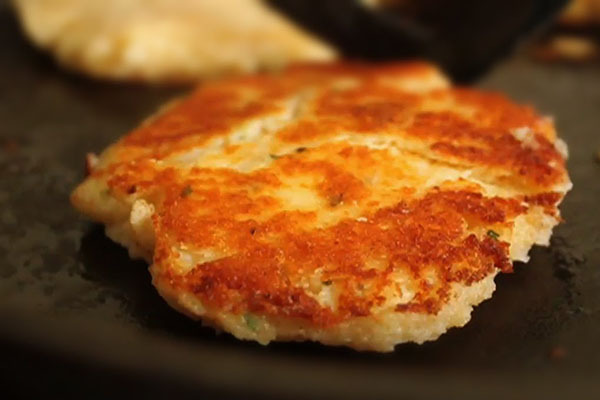 The resulting batter can be fried just like potato pancakes. Tip: Get yourself a splatter guard. It is worth it to keep all that oil from overtaking the stove and counterspace around the kitchen.